Do you know what the ‘Church of Jesus Christ of Latter Day Saints (LDS)–the Mormons– teach? Are there any similarities between Mormons and the Continuing Church of God? What about the millennium, Ten Commandments, the Sabbath, deification, military service, politics, ten lost tribes,and crosses? Is Christian deification a cultic doctrine? Did the early Christian church teach LDS or Church of God doctrines? How do these groups explain their history? Are either Protestant? Do you know about LDS doctrines of the Godhead, salvation, proxy baptism for the dead, ‘heavenly mother,’ the location of the Garden of Eden, ‘premortal life,’ or the State of Missouri? Did God raise up Joseph Smith? Did the Bible need to be corrected? Does the Book of Mormon contradict the Bible? What does the ‘White Horse prophecy’ say? What does Revelation teach about the riders of the two white horses it discusses? Teachings of the Church of Jesus Christ of Latter Day Saints (LDS) and the Continuing Church of God The genuine Church of God is not related to the Mormons and this article explains some differences and a couple of similarities. Also, might certain LDS prophecies apply to Mitt Romney? A sermon of related interest is available: Mormon vs. Church of God Teachings. Lost Books of the Bible? Is the Bible missing books? What about the Book of Jasher and the Book of Enoch? What are the pseudepigrapha? Universal Offer of Salvation: There Are Hundreds of Verses in the Bible Supporting the Doctrine of True Apocatastasis Do you believe what the Bible actually teaches on this? Will all good things be restored? Will God call everyone? Will everyone have an opportunity for salvation? Does God’s plan of salvation take rebellion and spiritual blindness into account? Related sermon videos include Universal Offer of Salvation I: God is love and Universal Offer of Salvation II: The Age to Come and the ‘Little Flock’ and Universal Offer of Salvation III: All Are to Know Jesus, But When? and Universal Offer of Salvation IV: Will the Guilty be Pardoned? and Universal Offer of Salvation V: All Israel Will be Saved? 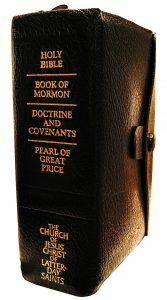 A version of the main article was also translated in the Spanish language: Oferta universal de salvación: Hay cientos de versículos en la Biblia que apoyan la verdadera doctrina de la Apocatastasis.The Gospel of the Kingdom of God This free online pdf booklet has answers many questions people have about the Gospel of the Kingdom of God and explains why it is the solution to the issues the world is facing. Here are links to three related sermons: The World’s False Gospel, The Gospel of the Kingdom: From the New and Old Testaments, and The Kingdom of God is the Solution.